Challenge Tennis provides tennis coaching for players of all ages and abilities in Chesham, Great Missenden and the surrounding area. Challenge Tennis was formed in 2012 by introducing the programme to Chesham 1879 and over the last 7 years the programmes have grown and more clubs have taken on the team to bring high quality coaching to their venues. Challenge-Tennis now provides coaching to 5 venues in Buckinghamshire and the surrounding area. For more information about our venues see our clubs page. Since 2012, we have been joined by some great colleagues along the way. Challenge-tennis now have 5 full time coaches, support staff and junior assistants. Below you will find more information about the current Challenge-Tennis team. James started coaching at 16 and has coached all levels of players from beginners to performance players. He specialises in coaching U12 performance players. James role as a Director sees him playing an active role in every aspect of the Challenge-Tennis coaching programme. Our resident racket stringer also works for the stringing teams at ATP/WTA events in the UK and has been part of the Wimbledon stringing team since 2016. 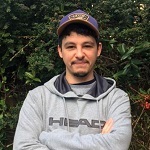 Huw founded and runs a Racket Technician business, racketspec, and provides a stringing and customisation service for several clubs and academies in the local area including several Buckinghamshire based Tour players. As a UK Manager for the European Racket Stringers Association (ERSA), regularly runs workshops to train others how to string their rackets to a professional standard. Huw also has solid experience of running junior and adult group sessions as well as working with academy players at Bisham Abbey National Sports Centre and David Lloyd Leisure. Thoroughly enjoys playing the game and has represented Buckinghamshire and South Wales in over 35s competition. 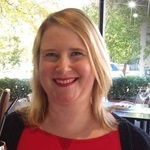 Sarah has a wealth of experience working with small and large businesses. Sarah brings knowledge from working with different companies from financial institutes to PR agencies. 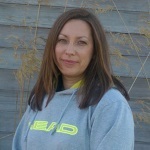 Sarah brings the whole business together and is responsible for all the day to day running of Challenge Tennis, looking after the coaches and supports the club committee's. Sarah has recently passed her Level 1 Coaching Assistant qualification and can be seen assisting on court, at school fairs, at committee meetings and generally everywhere needed on court and off. 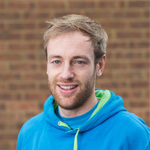 Phil is a level 5 LTA Performance Coach and has worked with a number of performance players over his years in the game. He has been a national coach and national team captain in his time at the LTA at Bisham Abbey and Cambridge as well as a Fed Cup coach based at Wimbledon. More recently he was the Head Pro at the prestigious Stoke Park Tennis Club. Phil has worked with and produced numerous National/International Champions as well as coaching ITF, WTA, ATP Players. In his playing career Phil has represented GB in various tennis events and currently competes on the ITF senior tour where he has a ranking of 25 in the world. Scott fell in love and started playing with tennis at the age of four. Unfortunately a knee injury in his early teens prevented him from continuing to playing competitive tennis at the highest level. Since then Scott has grown a strong passion for teaching the sport to others and has recently passed his level 5 LTA coach qualification. 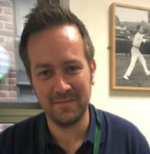 Scott took his first tennis qualification at the age of 17 and has continued to develop his technical/tactical knowledge and skills through throughout his 14 years of full time coaching. Scott has developed his own unique style of coaching which he adapts to fully support players of all ages and abilities. Scott has been involved with coaching and training club, performance and u12 and u18 Hertfordshire County tennis throughout his career. He also has a strong background for teaching in Primary Schools and Mini Tennis with a track record for producing u9 and u10 county players. Scott still has a strong passion for playing competitive doubles and takes any opportunity he can to play. Chris has been playing tennis for nearly 30 years and involved in coaching for 22 years. In 2016, he received his level 4 senior club coaching qualification having been a development club coach for 18 years. Chris can successfully adapt his coaching style to suit any age or ability. He has an excellent rapport with all his students creating a fun and high energy session making sure he never treats any student the same. Has worked with the Maltese and Gibraltan national teams, The Cliff Richard trust and Berkshire county teams. He has also trained Rikardas Dromantas in preparation for the 2016 County Cup which he ultimately won within his age group both in the single and doubles whilst coming 3rd in in the U16’s. Chris gives 100% to gain the best from all of his clients and in running many tennis courses, camps and individual lessons, he has successfully given people an opportunity to play tennis for years to come. Lee is an LTA Level 3 Tennis Coach. Having played tennis from an early age, he played County Tennis in many local tournaments whilst growing up in County Durham. During his time at University Lee played for the men's A team in both singles and doubles. More recently, he represented his club (David Lloyd Teesside) in local and regional Level and also captained the Men's A Team. During his time coaching Lee has coached people of all standards and levels from juniors to adults. Having 27 years of experience in the sport, Lee is able to adapt to any type of player to help improve their game. As a tennis coach, he likes to focus on doing the basics correctly as these are the building blocks to your strokes and game, whilst making sure every session is fun and enjoyable! Louise joined Challenge Tennis in July 2018 after being a receptionist at the Bucks Indoor Tennis Centre for 15 years. Louise has a huge passion for tennis and loves everything about the game.